The Coquet "Stop Line" was a string of pillboxes which ran from Amble up the valley of the River Coquet, built during the Second World War. 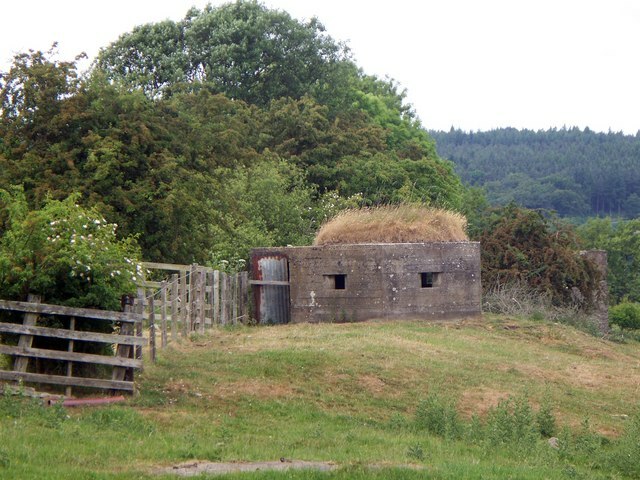 The threat of invasion was high when the pillboxes were built in 1940 - 1941, and the Stop Line was intended to slow the advance of the German army from the north, giving time to organise further defences at the Tyne Stop Line which was set up 30 miles to the south. The Coquet Stop Line, which ran from Amble in Northumberland up the valley of the River Coquet, formed part of the defences constructed to meet the threat of a Nazi invasion during World War II. 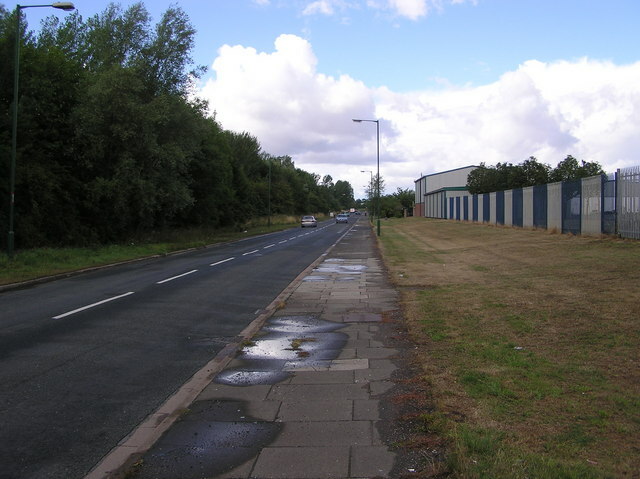 It was intended to slow the advance of the German army from the north to give time for a field army to assemble on the Tyne Stop Line around 30 miles to the south. The Coquet Stop Line was made up of a string of pillboxes, with a consistent shape that has been referred to as the "Coquet line type" or more accurately "Lozenge" type, and is only found in the North East and parts of Yorkshire. They tend to have open ground in front, often the river or its floodplain, while to the rear, where the entrance is, efforts were made to provide cover for a retreating force. A few of these pillboxes have been lost: one on the approach to Felton village and another on the west side of the A1 at West Moor have gone. The remains of a sandbag pillbox on the north side of Amble Harbour lie opposite a large concrete block that was built for a harbour chain. There is a brick "Lozenge" near the football pitch in Warkworth, though this is more likely part of the "Coastal Crust". 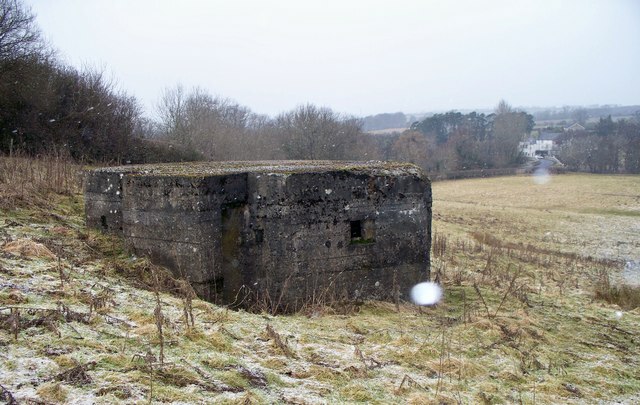 There are several other pillboxes on the Coquet, although these were probably not built as part of the Stop Line. One sandbag "Beehive" type pillbox is in a garden just behind the Cross Keys public house in Thropton. It covers the west approach to the Wreigh Burn road bridge. 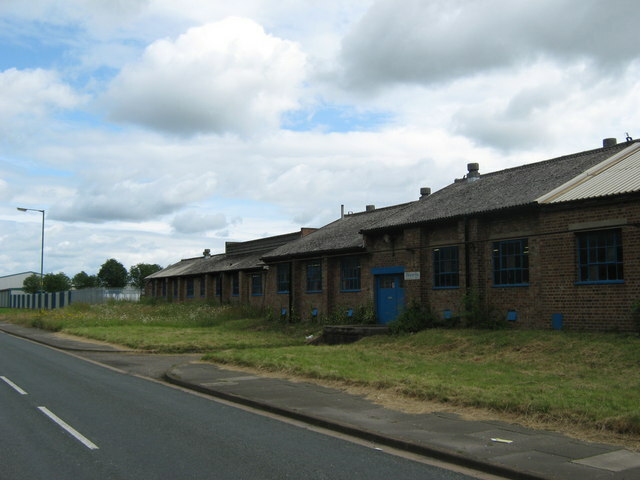 It was built by the 250th Field Company of Royal Engineers. They built many sandbag pillboxes in the area between July and September 1940; but the concrete pillboxes were put out to local tender. There is another pillbox near Morwick on the west side of the east coast main line. It is rectangular, half brick and half concrete, and was probably built to defend the railway viaduct or to protect the soldiers who would have been ordered to blow up the viaduct in the event of an invasion. The viaduct would have had to be kept open as long as possible to allow rolling stock to be moved. 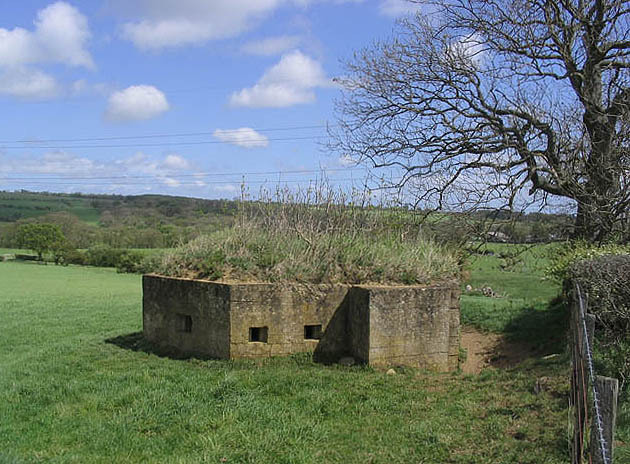 A unique pillbox can be found by the road from Amble to Warkworth at Gloster Hill. This is a stone-fronted pillbox in the shape of an old cottage (similar to one at Hemscott Hill, Cresswell). It has a stone and concrete front and the rest is made up of sandbags. 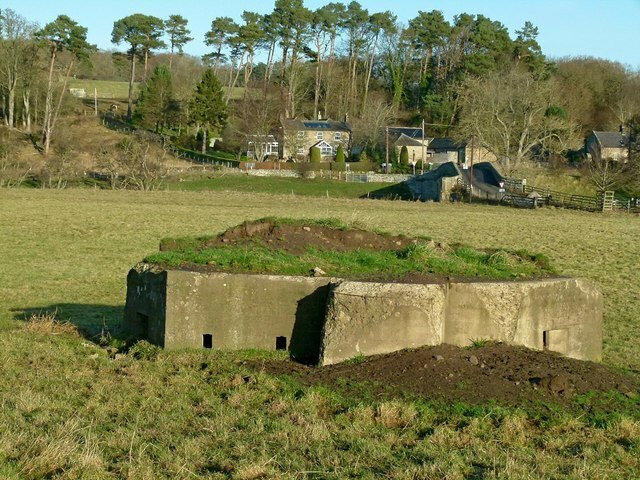 The pillboxes at Brainshaugh and West Thirston may not be part of the Coquet stopline, as their ID numbers are out of sequence with the others. They may have formed an inland stop line running north to south. The pillboxes at Hazon, Brainshaugh, Morwick, West Thirston, Earsdon, Longhirst, Bothal Barns and East Moor (and possibly Eshott) form a line with the pillboxes approximately two miles apart. There is a further modified lozenge pillbox in Rothbury. It is a standard "lozenge" except for an alteration to the porch and door, which were built on the left hand side as opposed to the rear. The pillbox is well hidden on the south side of the river. 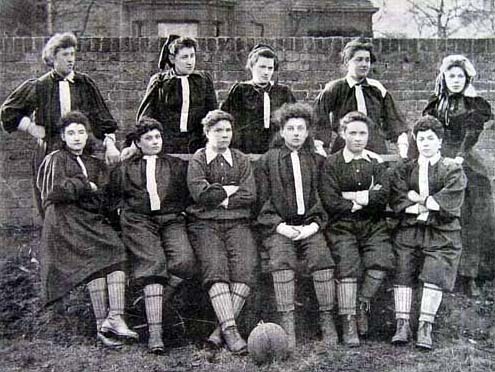 It is almost opposite the Whitton road bridge and was sited to defend the bridge. The front three embrasures are just above ground level, with left and right one having been letterboxed. The pillbox has no ID number so it may not be part of the stopline. It is at grid reference NU0560 0160. 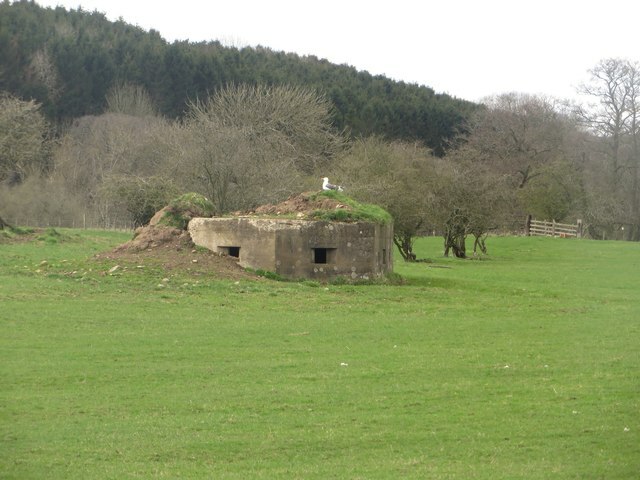 The following pillboxes have been firmly identified as part of the Coquet Stop Line. They are listed from east to west. 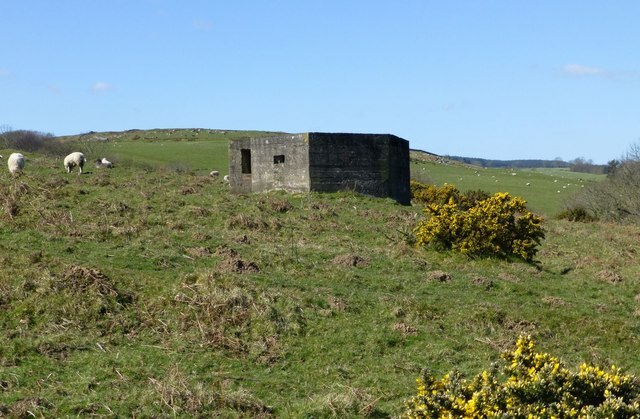 The listing of a pillbox here does not imply any right to visit the sites, which are almost all on private land. Text from Wikipedia, available under the Creative Commons Attribution-ShareAlike License (accessed: 20/01/2019). Visit the page: Coquet Stop Line for references and further details. You can contribute to this article on Wikipedia.